Our commitment is you. We carefully manage your print project with a team of experts centred exclusively on ensuring that you are happy with the end product. We doubt there’s one word to encompass both success and expectation. But our print team excels at both, making them our greatest asset since 1967. Our friendly, reliable customer support helps move your project forward. Need a print sample? Speak with a print specialist Mon – Fri at 01823-663339. Or email us. Acanthus Press is a modern lithographic printer with over 50 years experience. Our commitment to our environmental responsibilities in every aspect of business means we reduce our impact by working in an environmentally friendly way. We monitor, develop and update our policy to be flexible with changing environmental requirements. 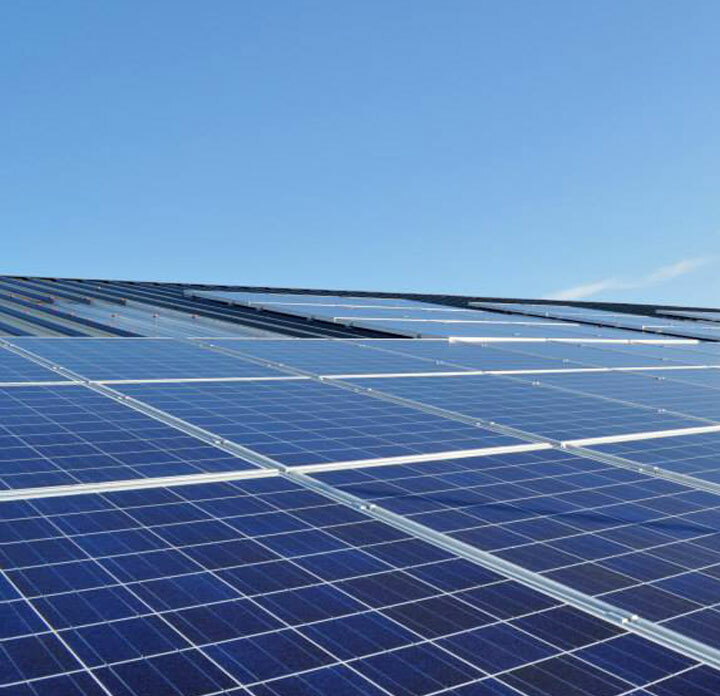 Our 200 x 250w solar PV units generate up to 50Kw instantaneously; enough to cover most of our power demands. The panels help offset approx. 37 tonnes of carbon a year! Our Press Room contains two Heidelberg presses running minimum alcohol & vegetable based inks. Waste is minimised by using an image control system and both presses use chemistry-free plates. Our sourced paper is Forestry Stewardship Council Certified (FSC® License No.002153); all waste paper and board is appropriately recycled. J&G Environmental take care of our waste aluminium, plastics, ink tins and the very small amount of waste liquid produced. All waste is carefully disposed of or recycled appropriately.